After facing severe criticism for failing to provide timely weather alerts to fishermen, the Tamil Nadu government announced the provision of the gadgets in this year's budget. The Tamil Nadu government gave 200 ISRO-developed satellite enabled communication devices to 80 fishing boat groups on Monday to enable them to access real-time alerts on cyclone and weather updates. Chief Minister K Palaniswami distributed the gadgets to seven fishermen from Chennai, Nagapattinam and Kanyakumari engaged in deep sea fishing, marking the roll out of the devices, at the Secretariat in Chennai. Several fishermen went missing in cyclone Ockhi last year. 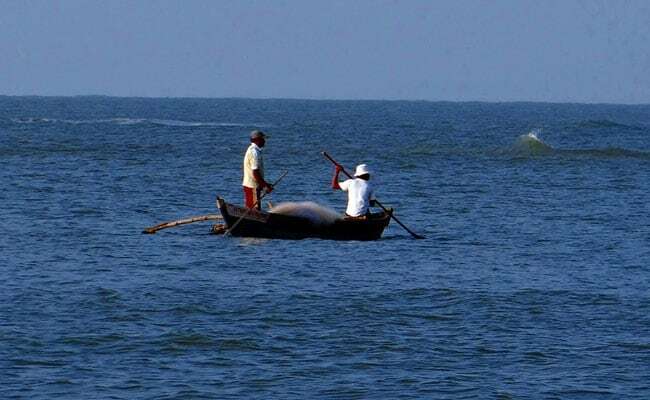 After facing severe criticism for failing to provide timely weather alerts to fishermen, the Tamil Nadu government announced the provision of the gadgets in this year's budget. Touted as the Indian version of the American GPS (Global Positioning System), the NavIC (Navigation with Indian Constellation)-enabled communication devices provides fishermen with real-time updates. The Indian Regional Navigation Satellite System constellation of eight satellites, named "NavIC", provides position, navigation and timing services over India and its neighbourhood, according to ISRO. A senior government official, when asked about the features of the device, said that the gadgets are basically 'receivers', which emit a beep signal when alerts are received. "The devices are the size of a soap box and are Bluetooth enabled...the alerts can be accessed by downloading the NavIC App in android phones...the alerts will appear in Tamil," he told news agency PTI. "These ISRO gadgets have been distributed free of cost...there are also no recurring costs...these have to be maintained properly," he said, adding that the devices would come in handy for those going for deep sea fishing.